His role and responsibilities have changed over the course of his hockey career, but Tanner Glass's dedication and desire to succeed have not. Over his four seasons of collegiate hockey at Dartmouth, he was known for his offensive touch, prowess on the power play and penchant for scoring key goals. These days, Glass, in his first campaign with the Pittsburgh Penguins, is a decidedly different, yet equally effective contributor. "Back in those days at Dartmouth, my focus was on bringing some offence, working on the man advantage and things like that," recalled the Saskatchewan native, who spent four seasons at the New Hampshire-based college. "Obviously, my game is much different now." But it's by no means less significant. Glass still chips in offensively - he had five goals and 16 points with the Winnipeg Jets in 2011-12 - but his primary role since he skated on to the NHL scene with the Florida Panthers five years ago is as a defensive forward complemented by a physical approach. It's just what the Pens were looking for when they signed Glass to a two-year deal last summer, an ideal fit for both team and player. 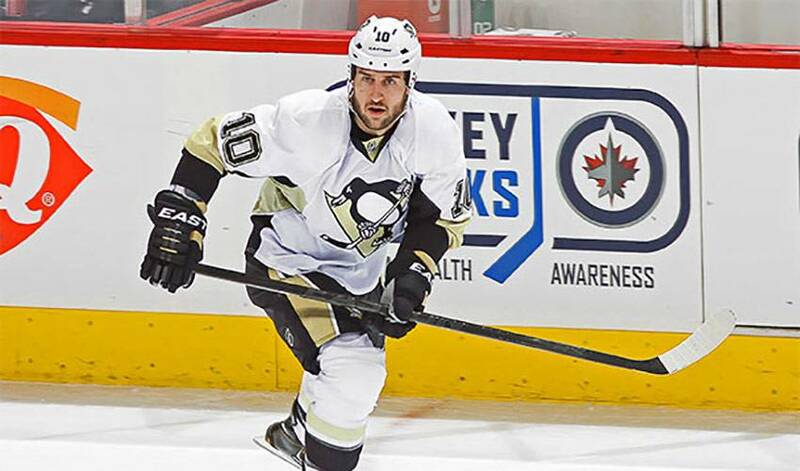 The 29-year-old was no stranger to Pittsburgh's reputation as a perennial Stanley Cup contender. "I think I'm like anyone else in the league in that when you look at this team, the first thing that comes to mind is that this a high-flying offensive group that are a hard bunch to play against. But you quickly learn that this team is about more than that. You've got great skill guys, but you also have strong defensive players and talented role players, too. I just wanted to come in and find my role." Banging bodies, forechecking, shutting down top lines, dropping the gloves, Glass seems to find a way to do a bit of everything throughout the course of a game. It's anything but a glamorous role, but one the veteran of nearly 300 games embraces. It's also one that garners respect from teammates and opponents alike. Glass was reminded of that in a recent matchup against Eastern Conference rivals, the Buffalo Sabres. In the midst of a closely contested game featuring numerous scoring chances, he engaged the Sabres' Cody McCormick in a spirited scrap, something the pair did in 2011. When Glass's sweater went over his head, McCormick backed off momentarily with the Pittsburgh forward in a vulnerable position. Glass took to Twitter following the game to acknowledge McCormick's show of sportsmanship. "In the roles we have, there is a big level of respect between us," said Glass. "I would have done the same thing. He plays the game hard, but he plays it the right way. That's the way it should be." It's long been the calling card for the man who captained Dartmouth in his senior year and a player whose first NHL game might not have gone quite as he planned, but has panned out quite well. "I can't say I have one of those inspirational first NHL game stories," quipped Glass. "I got called up, I either missed a connecting flight or it was delayed, and I showed up at the rink wearing jeans and a t-shirt. I got on the ice late for warm-up and played a grand total of a minute and change." Happily, for Tanner Glass, it's been much better since.